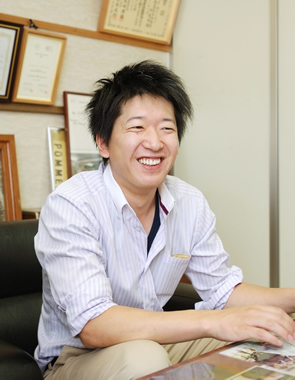 The ultimate pioneer in Daiginjo (top-quality sake) uses "Yamada Nishiki" rice to take on a new challenge. They say that "Great sake comes from great rice" and Yamada Nishiki is thought of as the ultimate in Japanese sake-making, isn't that right? 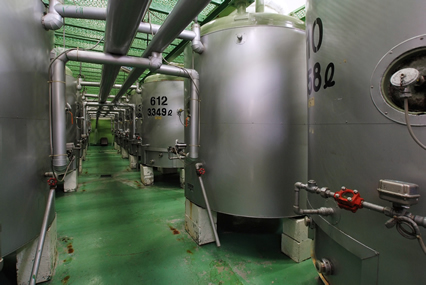 Our company, Honda Shoten, has been involved in the making of ginjo-style sake (brewed by low temperature fermentation from white rice) in the Banshu area since the beginning of the Edo era. Our leading brand is Tatsuriki. 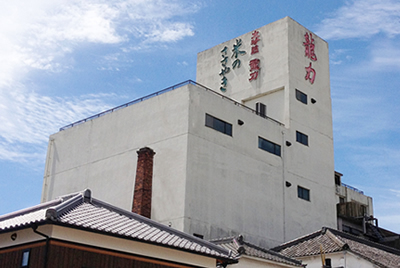 We began making daiginjo, which is brewed from rice milled to 50% of weight or less, in 1970. The third in my lineage, I began to consider the future of Japanese sake, and since then, taking up the mantle of ginjo pioneer, have devoted myself to the study of its technology and ingredients. The delicious rice and water of our local environment has always supported our efforts to make sake. 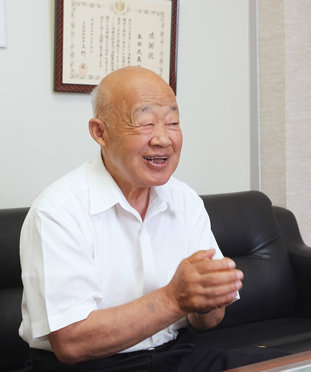 However, I believe that, just like the saying "great sake comes from great rice", the beautiful nature and the perfection of the Yamada Nishiki rice of our local environs are deeply connected with our desire to make great sake. Especially with Yamada Nishiki, we're perfectionists about every detail. In it we use only the finest, top rank, "Special A" class ingredients from Banshu. Our obsession with Yamada Nishiki is the purest expression of our aim to become the top of the daiginjo world. What's the attraction of your Tatsuriki brand of daiginjo? 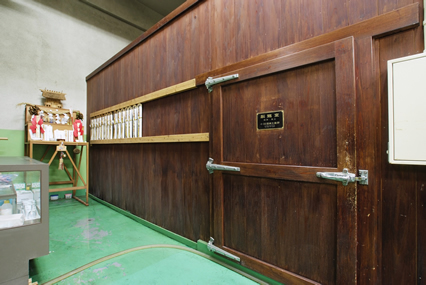 The heart of making liquor, the sake room. Of all the daiginjo that we have poured our technical ability and passion into, our highest level, "Junmai (pure rice) Daiginjo Tatsuriki: Whispers of Rice Akitsu" is perfected by using Yamada Nishiki rice from only the most superior paddies. We eventually came to Kato City in Akitsu, where we signed an exclusive contract with the local farmers, limiting even the paddies from which our rice is taken. The Yamada Nishiki made in these paddies is taken in as unpolished rice, and with special attention to each detail and over a long period, the rice is polished down to 35% of its original weight. What's left is so beautiful it's moving, almost like pearls. From this rice I can say with confidence truly delicious sake can be made. With wine, even in Romanée-Conti, each field produces wine of a completely different quality. So it is with sake as well. The daiginjo produced with this fixation on rice possesses the ultimate full bodied-ness. The three qualities prized in sake -- aroma, substance, aftertaste -- in exquisite balance. It's praised as "like the Romanée-Conti of sake". In recent years overseas, and especially in Hong Kong, it has become more and more popular. A new lineup debuted in 2012? Yes, the "Dragon Series" that I, the fifth in my lineage, planned out. It started with the thought that we would like to open up and make our highest quality daiginjo, Tatsuriki, accessible not just to sake lovers but to the general scene as well. It is for that reason that the three important points of sake (aroma, substance and aftertaste) were rated on a five point scale, matched to each concept, and the color of the labels and bottles were redesigned to communicate that concept before they were released. "With western food, instead of wine, use 'blue label'"
"With Japanese cuisine, the clear tasting 'black label'"
"For hanami and other picnics, the great at room temperature 'green label'"
Yet these labels are not particularly sake-like, are they? They came about because there was a designer who was interested in what I had to say, and put together a design with a story based on each concept. Labels like this will grab the attention of even the younger generation who are leaving sake behind. Because the design itself has impact, we don't use brushstroke-style writing and hiragana frequently used for other brand names. As part of this great journey, we step forward into challenges. Interpreting Tatsuriki's attractiveness in a new way, I want to expand into the everyday market. Please tell us about your goals. Today, although sake is the specialty alcohol of Japan, sharing is at an all-time low. Though even people who aren't sake drinkers per se, enjoy good sake when they get it, they don't become habitual drinkers. Why is that? I'll say it again: they know that Japanese sake is delicious; they just aren't drinking it. If we don't approach the reasons for that seriously, sake will become a pleasure for only those who understand its taste, which would be a horrible waste. It is precisely because we are the pioneers of this premium brand of sake, Tatsuriki, that we feel we must present people with a new perspective on the value of Japanese sake, and spread its charm. Restaurateurs have taken to the Dragon Series, and you can find it in many shops and restaurants. There is still a long way to go, but I'd like to continue taking on challenges like these. Balance and taste fruity, crisp of excellence, is the standard of Daiginjo, featured product of Tatsuriki. Daiginjo ultimate you use Kato Akitsu production which kept discerning "Yamada Nishiki". Called Romanee Conti sake. Than pure sake series that was launched in the new concept. The deployed in five "blue, black, four seasons, red, green" of the scenes.